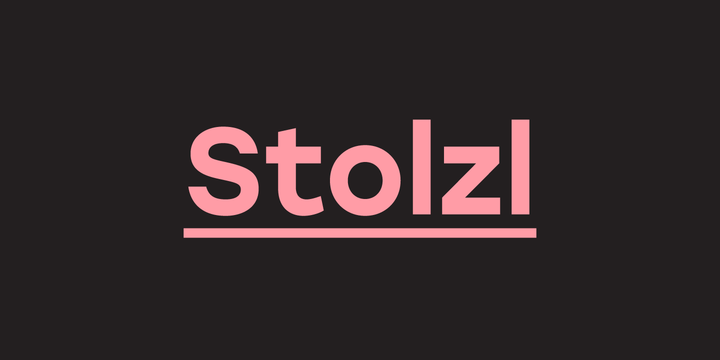 Stolzl Text is a sans serif typeface created by Mariya V. Pigoulevskaya and published by The Northerm Block Ltd. which is the companion of Stolzl Display, completing the collection. It is readable in both print and screen, and is available in six weights, almost 500 characters, multilingual support and OpenType Features. Enjoy! Note: “Stolzl Text” is a trademark of The Northern Block Ltd.
A font description published on Monday, December 7th, 2015 in Fonts, Mariya V. Pigoulevskaya, The Northern Block by Alexandra that has 5,202 views.